Ten years ago I (Michaela Potter) was on my first career break, which took me to Nepal, Thailand, Vietnam & Cambodia. 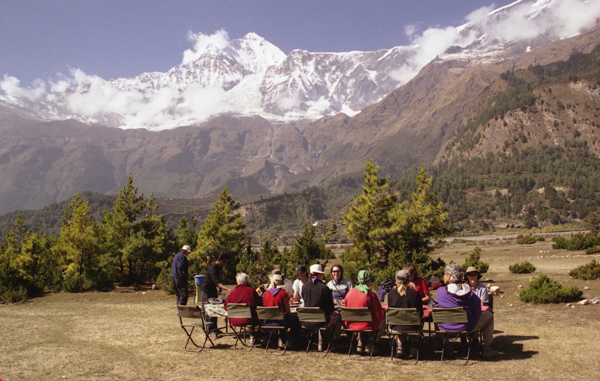 Reflecting back on my journal, I realized that on this exact date at that time I was experiencing the majesty of the Himalaya Range during the Annapurna Circuit. Having made it over the Thorang Pass, we could enjoy the beauty of the surrounding mountains during our descent. What were some of your “perfect” career break moments? Want to see your photo here? Check out our easy submission policy! Let’s ignore the fact that you’ll never work again. Skip over the part where you die alone and penniless on a twice-flipped mattress in some dockside flophouse. Such fates are inevitable if you walk away from your job. Accept it. Move on. I know that’s slightly unfair to say, because I did exactly what you’re thinking of doing, and yet here I sit with all my original teeth and a perfectly pleasant relationship with my creditors. Still, it’s what folks told me, so I’m riling up your muse with an equal punch of pessimism. At first, I pledged to take time off from pounding the keys. I thought traveling was about unencumbered reflection. I quickly discovered it was also about sitting around, about dead hours in the mornings and evenings, bad weather keeping me hostel-bound in comfy chairs next to fireplaces. There was ample time and inspiration to write. In my office monkey days, staring at a computer was the last thing I wanted to do with my free time. In New Zealand, after a day of driving or exploring, sitting down with a laptop was as welcome as cracking a beer. And since wi-fi was, more often than not, purchased by the minute, I didn’t have the funds to be distracted by the latest videos of slow lorises. I did a lot of tramping (learn the local lingo, gang). At one point, I tossed my ragged boots into a rubbish bin (see that?). They had reached their expiration date, but it was also a symbolic gesture. I was saying goodbye to some old writing as well. I had written my first novel three years prior and had tried, unsuccessfully, to find representation for it. If I had stayed home, I might still be tinkering with the thing. Sure, it had gotten me somewhere as a writer, but it was a muddy manuscript, full of un-patchable holes (and footwear metaphors). Junking jobs and boots granted me the courage to junk that first novel and concentrate on something new. I was a traveler, but it didn’t mean I was a travel writer. 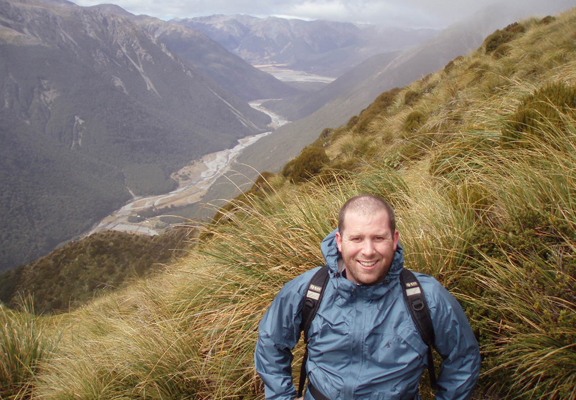 Many fall into the trap of thinking, “I must be the first son-of-a-gun to backpack across New Zealand—I jot it all down, I’ll be the next Paul Theroux.” Even if travel writing was a vibrant market (it wasn’t and it isn’t), it didn’t mean I had the skills to pen a bestseller. I had to accept this early. Traveling isn’t a writing skill. My abilities were more suited to children’s fiction, so that’s what I concentrated on. I saved the observations and anecdotes for my journal. I met two types of people on the road: those taking a break from life and…Germans. Lots of Germans. Many were fresh out of school, but some had well-established careers back home. None could recommend an agent or introduce me to a publisher. That didn’t matter. These connections were more important as confirmations that I wasn’t some foolhardy dreamer or, if I was, that there were plenty of others like me. We sat around at night talking about the crazy things we’d do upon our return to the “real world.” One woman planned to open a cupcake shop. There was a guy determined to swap banking for bicycle repair. The Germans, contrary to their grim reputations, were the freest of spirits, with many simply declaring “I am going to continue traveling,” in thick Bavarian accents. Publishing is a slow business. Even on the Internet. Would you be surprised to learn that I’m writing this article in January 2008? (And using the cash to apply for my third adjustable rate mortgage!) When I left on my break, I had some pieces on submission and queries out with agents. Normally, that would lead to weeks of refreshing the Inbox every 15 seconds. Hard to do when you’re challenging some Dane to a scree-surfing race down a volcano. The rejections came slowly, but they came with little notice. When I’d returned to the U.S., it was like I’d hopped over all that anxiety and into the future. Sure, I was unemployed, with nothing floating out there. But I was unburdened. I had the beginnings of a novel, a nothing-to-lose attitude and the confidence that a clean slate can be a good thing. With nary a flophouse in sight, I’m still confident it can. 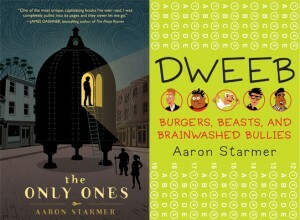 Aaron Starmer wrote much of DWEEB (Random House, 2009) in backpacker lodges. His latest, The Only Ones (Random House, 2011), was written in his new office—a desk in his living room next to pictures of Tahiti, Kenya and, naturally, New Zealand. I can’t picture being where I would be today if I had not taken the leap and simply booked a flight to New Zealand. While smart financial decisions and pre-entry planning made returning easier, it was ultimately a positive attitude and helpful support from others that prepped me for the adventures that have followed. 1. Start with your strictest budget and finish without being in debt. Whether your budget is hotel- or hostel-sized, adjust your expectations early on. It’s much easier to start and stay frugal instead of splurging on luxury and whim in the beginning and then trying to scrap together a few dollars for a cot later. By buying a cheap car that also served as our closet and pantry, we were able to see every corner of the country by camping and tramping (including many of New Zealand’s famed Great Walks). So what if we passed on the 90-second thrill of a bungee jump and a little room service. After hanging out with broke backpackers who had resorted to fruitpicking, and briefly trying to land temp jobs in Wellington, we decided on our trip’s motto: “Working is for Suckers.” But this made it all the more important that we sold our car instead of taking a loss. After 10,000 km and a few afternoons hustling at car markets, we got back nearly all of our $1,000 investment. As those Kiwi kids say: Sweet as! 2. Know the power of networks and support systems. I’ve never liked the term networking. It always seemed cold and corporate to me. But it’s well worth planting the seeds for your return in advance as these things take time to grow. It’s amazing how much goodwill and good info you can get by asking contacts to share their experience and demonstrating your industry knowledge. And as tempting as it is to leave the office with a grand speech in a blaze of “Working is for Suckers” glory, burning bridges is never a good idea. After an enthusiastic welcome by our loved ones, friends and family also offered opportunities that made a big impact. Accepting an aunt’s loaner laptop made freelancing easier while everyone had good advice and contacts to share. 3. Use the time to figure out what’s important to you. I love that the average person will change careers five to seven times. Even my mom “still doesn’t know what she wants to be when she grows up.” When I took an extended trip (a career break?) before getting a “real” job, I had time to catch up with some reading and really think about my future. And it was my love of books that led to an editorial job in New York City. 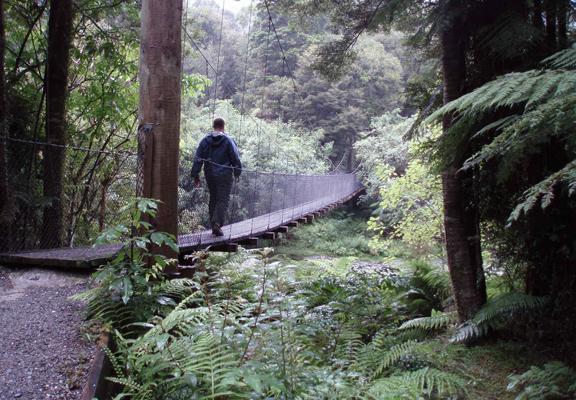 Later in New Zealand, I began to plan how I could get more travel in my work. While I had experience that included writing a camping guidebook, most travelers today have a blog to highlight their own interests and adventures. When I was fortunate enough to get an interview at Fodor’s Travel, my passion for travel was an asset. While other potential employers might not be quite so understanding, do you really want to work for someone who doesn’t understand career breaks? 4. Expect some things to change – and others to stay the same. While I did have the option of a leave of absence, it was important for me to go in a new direction. It wasn’t all different though, as I had kept my affordable apartment and returned to many familiar things. But not all change is under your control. While part of our life had been paused, the lives of our friends and family continued. For some, three months passed in the blink of an eye, while others were in a dramatically different place. 5. Don’t let re-entry worries end your trip early. Plan some fun things for your return but don’t check e-mail every day or you’ll already be back mentally. For me, it definitely helped to come back to some exciting summer plans. 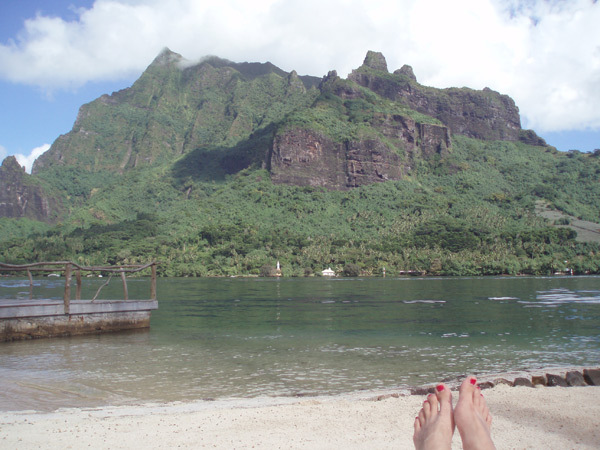 Before coming home, I was especially excited for a week stopover in Tahiti for one last chance to relax before reality. There was one last surprise that the trip had for me though, as my boyfriend got down on one knee at the base of a waterfall. Yes! Cate Starmer is the Online Editor at Fodors.com and a career breaker. She looks forward to returning to New Zealand with her husband Aaron to complete all of the Great Walks (and maybe bungee jump). Many career breakers and RTW travelers have dreams they’d love to fulfill during their travels. And climbing Mt. Kilimanjaro is high on many people’s lists. This Photo Friday was shared on our Facebook page by fan Sonia Virtue. 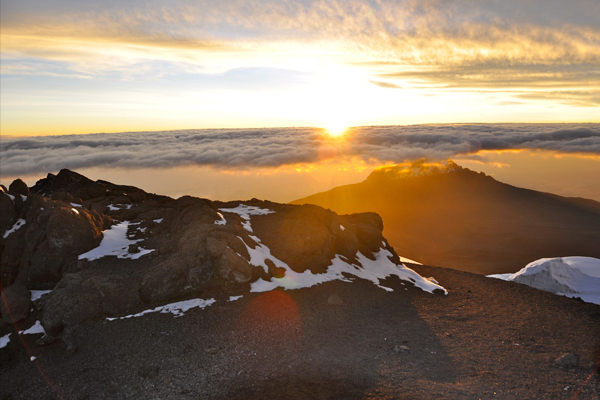 She managed to not only make the ascent of Kili (one that many climbers face defeat due to altitude sickness), but she captured this beautiful sunrise on her descent. What has been a dream of yours that you’d like to achieve during your career break? [singlepic=1808,148,,,right]Sometimes even an experienced traveler doesn’t feel prepared. Marie Elena Martinez shares with us the nerves she is facing heading off to Africa for two months, despite having experienced a two-year career break before! As part of her trip, she will be climbing Mt. Kilimanjaro on behalf of Flying Kites. I’ve done this already. Multiple times. And yet, the mixed feelings always come. Kenya, Tanzania, and Kilimanjaro loom large in my future, but I’m torn on leaving a very settled New York existence for the pleasures and perils of a travel-break. 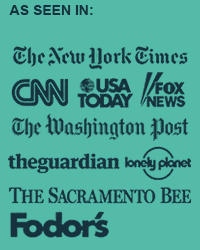 In 2005, a rising Associate Publicity Director within the matrix of the HarperCollins Publishers machine, I left my job. No disillusionment with cranky authors, no falling out with top brass, no desire to continue my upward climb to Director. I just…quit. When I look back, I can remember that my position’s sense of urgency, of growth and of learning, had fallen off. So, I decided to throw myself into a new challenge and give myself a new education: traveling the world. Solo. [singlepic=1805,275,,,right]Everyone thought I was crazy. “I mean, who does that?” wailed my sister. “Did you win the lottery?” questioned nosy neighbors. No, and no. I just needed a change. Which was odd. I had toiled at HarperCollins for nine solid years. I owned my New York City apartment. I dabbled with the same boy for half a decade. Change cramped my style. But it was time. I was on the cusp of 31, unattached, and unchallenged. So, I quit. [singlepic=1577,300,,,right]It has been three months since the three couples from our Career Breaker Round-Up have hit the road, so we thought it would be fun to check in and see how they have been adjusting to life on the road! The fun part is that all three took off in completely different directions, so they’ll have very different cultural experiences to share as well. 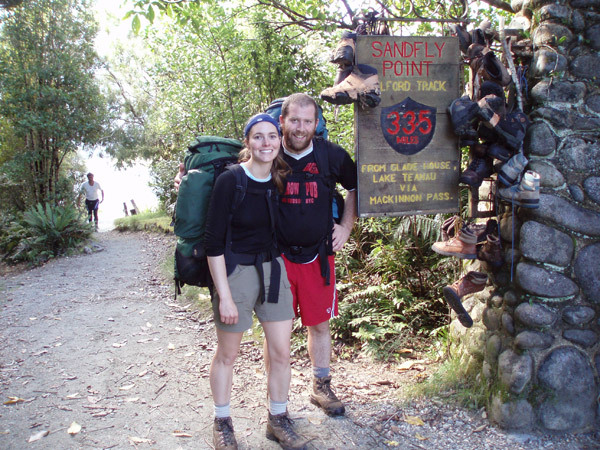 We’re checking in first with Jason and Aracely of Two Backpackers, who started their travels in Central America. So far they have experienced Guatemala, El Salvador, Nicaragua and Costa Rica. What has been the most difficult thing to adjust to on the road? JC: The constant get up and go, packing and unpacking. I can easily adjust to a new location, but right when I do, we have to get back on the road again. Constantly traveling does take a toll on the body and mind, and some days you just need to rest and recuperate. AS: I don’t think I did a good job at picking the right clothes to bring. I have 3 hiking shorts that I never wear. I should have kept it to one hiking shorts and more casual clothes. We have done quite a few hikes but we are in towns most of the time. And I just wish I had a different selection of clothes. Such a girl answer, I know. Are there any thoughts of what you left behind that keeps you up at night? JC: Nothing keeps me up at night because I know I am not traveling forever. Other travelers that I have communicated with describe their homecoming as if they never left. I also believe that not much will have changed in a year’s time, except for my two young nephews that are growing up as I type. AS: I have a teenage brother that I worry about. He’s at a difficult age, I worry about him often.